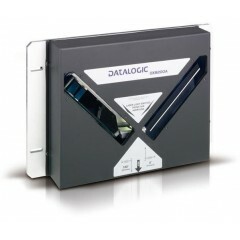 Leitor de codigo barras Datalogic Matrix 210	Matrix 210™ is the new Datalogic 2D reader offering extreme reading performance and integrated Ethernet in a ultra-compact housing. Thanks to the WVGA image sensor, capturing up to 60 frames per second and to the powerful internal illuminator, Matrix 210™offer extreme dynamic reading capability. 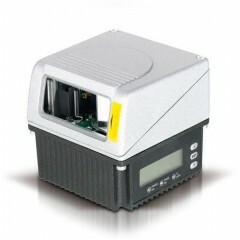 Leitor de codigo barras Datalogic AV6010	The AV6010 is a high-performance, long-range camera barcode reader. The AV6010 provides outstanding image quality and performance for the most demanding 1D and 2D symbology applications, combined with the industry's highest reliability and easiest installation. Leitor de codigo barras Datalogic DM3610	The DM3610 is a ultra-high performance, in-motion, overhead dimensioning unit that automatically measures the length, width, and height of packages as they are transported on a conveyor. 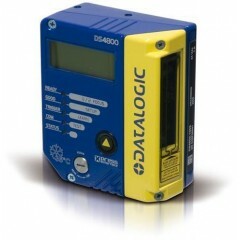 The DM3610 is certified in Legal-For-Trade applications and its highly accurate measurements make it the perfect solution for spatial management applications. 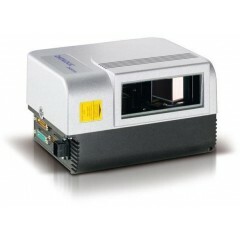 Leitor de codigo barras Datalogic DS4800	DS4800 is a flexible and compact laser scanner for industrial application, satisfying all main identification needs of your manufacturing plants. DS4800 features an excellent reading performance, ease of setup thanks to X-PRESS™interface, high-speed ID-NET™ communication interface and total immunity against ambient light. Leitor de codigo barras Datalogic DS6400	The high performance DS6400 industrial laser bar code scanner presents the new Step-a-Head™ feature, reading range from 300 to 2.500mm, new FLASH™ dynamic focus, advanced decoder with code reconstruction capability (ACR4), display and keyboard, new GENIUS™SW configurator and PackTrack™ function. Leitor de codigo barras Datalogic STS400	STS400™ is Datalogic Automation state-of-the-art solution for tire sorting. Extremely compact and based on a self-contained structure. 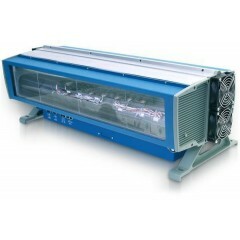 The solution excels in delivering top reading performance with simplicity of installation and maintenance. For example the solution is pre-assembled and calibrated, making integration into a tire sorting system quicker than ever. 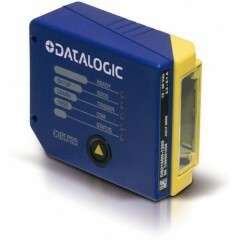 Leitor de codigo barras Datalogic Matrix 410	The Matrix 410™ is the modular, flexible and versatile compact bar code 2D reader for industrial applications embedding 1.3 and 2.0 megapixel sensors. Matrix 410™ features excellent performances in reading and verifying, easy setup, thanks to the X-PRESS™ interface and patented Blue Diamonds™ system, ease of use, extreme flexibility, high versatility and industrial strength. 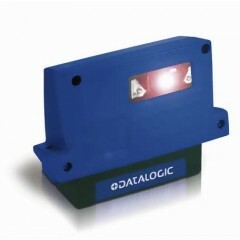 Leitor de codigo barras Datalogic DS2100N	The new DS2100N industrial laser bar code reader leverages Datalogic Automation's 40-year tenure in 1D bar code reading, satisfying the demanding application needs of warehousing, shop floor and OEM applications. 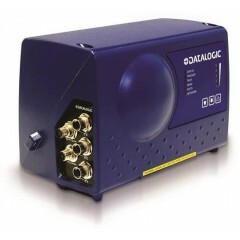 Equipped with limitless connectivity options including PROFINET, EtherNet/IP, and Ethernet TCP/IP communication protocols, the DS2100N is the optimal choice for short reading distances. 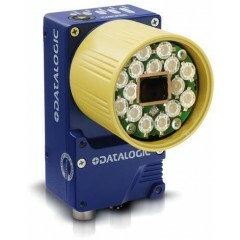 Leitor de codigo barras Datalogic NVS9000	The NVS9000™ is the Datalogic Automation industrial high-end camera system, designed to drastically improve the productivity of postal, mail order and distribution companies. 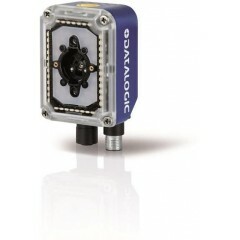 NVS9000™ embeds the latest and most powerful camera technology of the market into a modular, easy and reliable product. 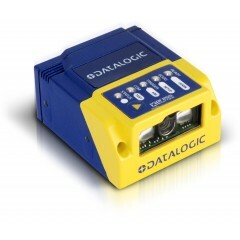 Leitor de codigo barras Datalogic Matrix 450	MATRIX 450™ is the high-end industrial 2D reader designed for logistic applications. 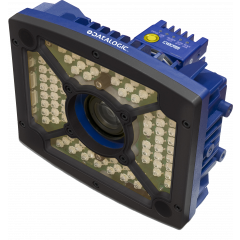 Through 5 million pixels captured 15 times in a second, MATRIX 450™ enables a range of applications never covered before by a 2D-imager. MATRIX 450™ perfectly meets the requirements of both automated and manual material handling. 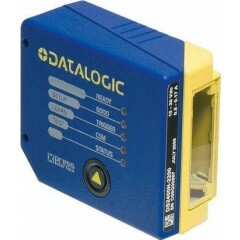 Leitor de codigo barras Datalogic DS2400N	The new DS2400N is the first-in-his-class laser bar code reader offering maximum connectivity freedom, better optic performance and ease to install in the most demanding applications including warehousing, shop floor and OEM machinery. DS2400N is optimum choice on short-medium reading distance and it is equipped with all connectivity options including PROFINET,EtherNet/IP, and Ethernet TCP/IP communication protocols. 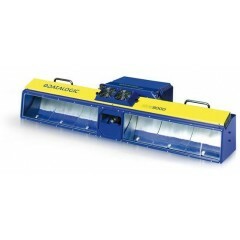 Leitor de codigo barras Datalogic DX8200A	The DX8200A is a high-performance X-pattern laser scanner capable of omnidirectional bar code reading that provides an economical and easily installed single scanner solution for Transportation and Logistics needs. 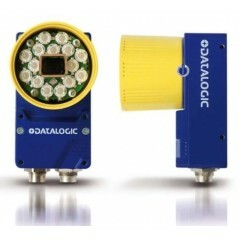 The X-pattern design allows a single DX8200A do the work of two DS8100A's for many applications. Logiscenter é um partner de referência dos principais fabricantes de Leitores Automation. Esta cercania com os fabricantes nos permite oferecer as melhores condições de preços, estoque, entrega e serviço técnico.